Erik has several things to make life with R.A. easier including special silverware, shoe inserts and special socks. This year he needed some more of his favorite summer socks and when they arrived, I realized why he likes them so much. 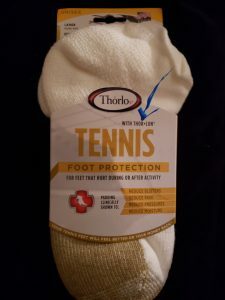 They are “THOR”lo brand—socks for the Viking who has everything ??? ?